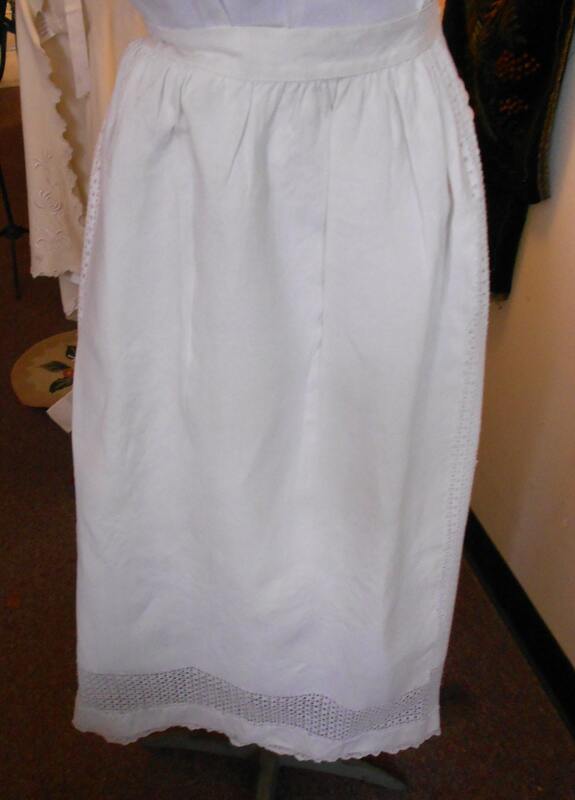 1890's, adjustable waist, full length white linen apron, with eyelet inserts at sides and hem. 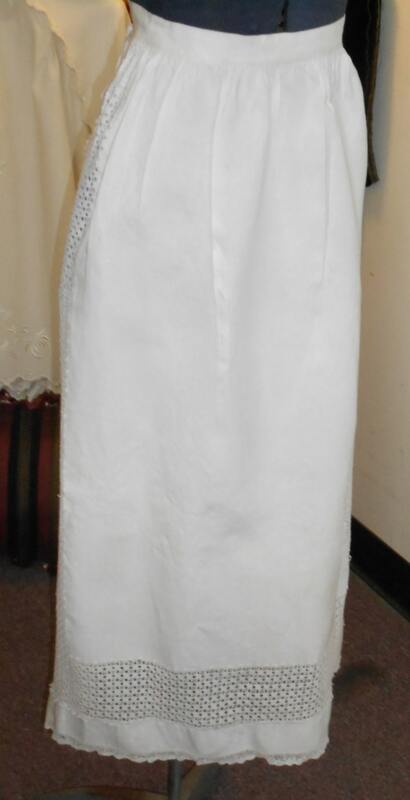 Apron is edged with narrow cotton lace. Ties are long and wide. Measurements: center of waist 30"